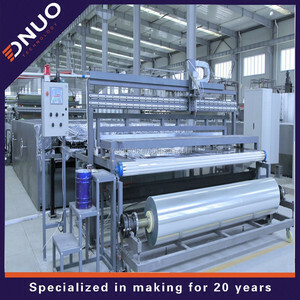 Company Strength: The spirit of "innovation" business philosophy, bring enterprises rapid change, self-designed products varies from FRP gutter machine, FRP embossing sheet making machine, FRP gel coat sheet making machine to 3.2m width flat sheet specialized for truck body by now. Machines: Now a wide range machines are available ; FRP roofing sheet making machine; FRP gutter making machine; FRP gel coat sheet making machine; FRP gel coat sheet making machine special FOR TRUCK BODY; Embossed film sheet machine; Fiberglass short-cutting machine; FRP waste crush and grinding machine; Ps: Every type of equipment can be customized based on your needs. Every parts details shown as following, we can see that we are detailed-oriented: Pumps: Mixing and metering tank: Fiberglass frame: PET film: Machine function: can produce lighting sheet, corrugated sheet,color sheet, common flat sheet. 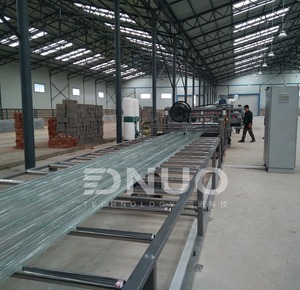 12 YRS Jinan Gold Lead Machinery Co., Ltd.
2 YRS Henan Hua Bao Machinery Equipment Co., Ltd.
GRP Pultrusion Machine 1. Who we are9 Our manufacturers composite R-bars by combining the pultrusion process and an inline winding & coating process for the outside sand surface. The glass fibers impact strength to the rod while the vinyl ester resin imparts excellent corrosion resistance properties in harsh chemical and alkaline environments. 2. 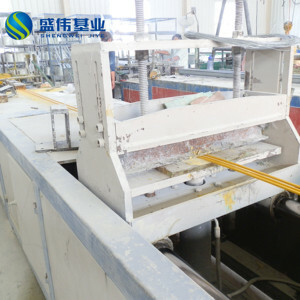 What can we do for you9 We provide the FRP REBAR PRODUCTION LINE for you,which can produce composite rebar with epoxy resin, polyester resin based on different rebar size.
) Hydraulic parts are made of stacked clip (easy maintenance), and the tension and clamping force can make stepless adjustment. Traction speed with precision throttle, to ensure the stability of traction speed, and stepless speed adjustment of the traction. Automatic intermittent time can be automatically setted, and the actual production tension can be feedback. GFRP Advantage : High Corrosion Resistance : The base materials used by the bolt are durable materials, and they are molded through the composite process. 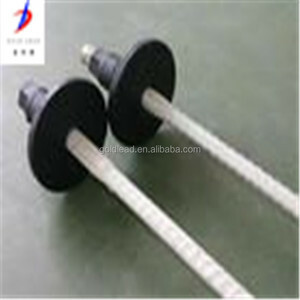 They can be used as permanent support materials; High Tensile Strength : The load is approximately double that of a steel bar with the same diameter Low Weight : The weight is only 1/4 that of a steel bar with the same diameter. Therefore, the labor intensity is greatly reduced, and the transportation cost is reduced at the same time; Anti-static : It has no electrical conductivity, and no sparks will be produced when being cut. 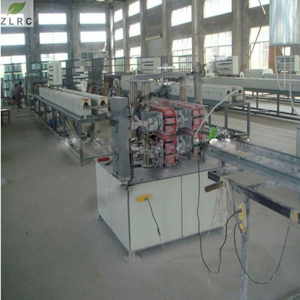 JHR frp/grp high strength rebar production line Fiberglass rebar pultrusion line is used to produce FRP rebar with different specification. The pultruded full thread glass fiber reinforced plastic bolt rod has good performance and conforms to the advanced technical standards of developed countries. 3. 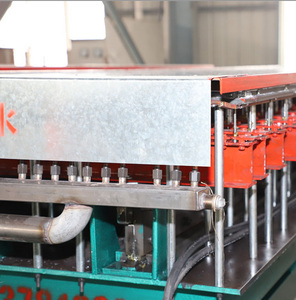 Energy conservation : The machine adopts closed oven which has double layers to isolate the heat, so it greatly improving the energy utilization. 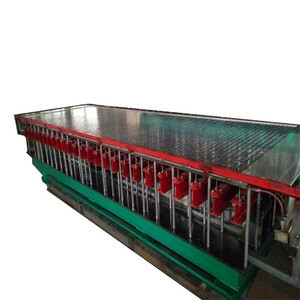 9 YRS Dongyang HSTUBE Co., Ltd.
Alibaba.com offers 121 grp rebar making machine products. About 11% of these are other construction material making machinery, 8% are plastic extruders. 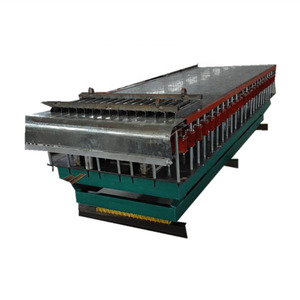 There are 121 grp rebar making machine suppliers, mainly located in Asia. The top supplying country is China (Mainland), which supply 100% of grp rebar making machine respectively. 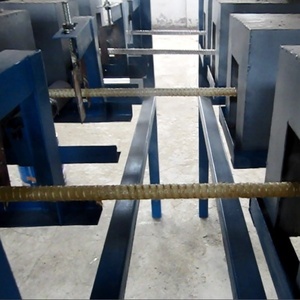 Grp rebar making machine products are most popular in Mid East, Africa, and Domestic Market. You can ensure product safety by selecting from certified suppliers, including 106 with ISO9001, 39 with Other, and 24 with OHSAS18001 certification.